Dancing is an art form that has lured the attention of many enthusiasts who pursue one form or the other to live with their passion. Dancing is about the rhythmic movements of the various body parts executed to the different types of music as dictated by the dance form. Be it learning to dance to pursue a career, make a wedding dance memorable, or to get equipped with the skills and techniques to enjoy dancing at a social party, passion and perseverance will carry the enthusiast through the task of learning. When they announce at your wedding….. “The bride and groom will begin their lives together with their first dance,” what will you do? 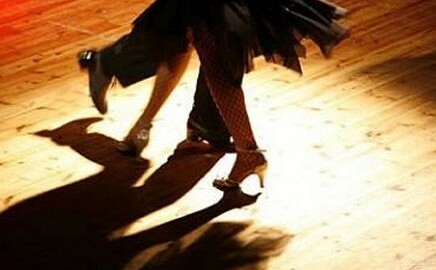 After only a few lessons, you could step on to the dance floor looking like Fred and Ginger. Don’t leave this important part of your wedding to chance. It is a wonderful way to begin your new life together. We come to your location with music, sound equipment and simple teaching methods. Since we work as a couple, Charlie teaches the men and Joanne instructs the ladies. Valuable lesson time is not lost waiting for everyone to learn their part. PLUS, each class includes a “demo dance” so you will see the dance performed. 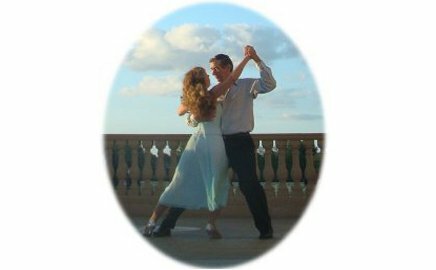 We are Orlando area Ballroom Dance instructors who love to teach dancing as much as we like to dance. 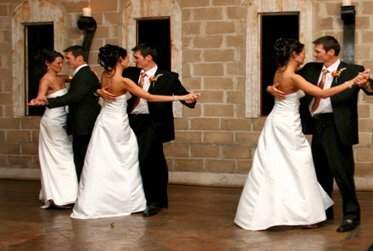 From dance classes to dance parties; from wedding dance lessons to teen dance activities; from Latin to Swing to smooth ballroom dances. Have some fun, meet great people, or polish up a memorable wedding dance. Any reason is a good reason to dance!